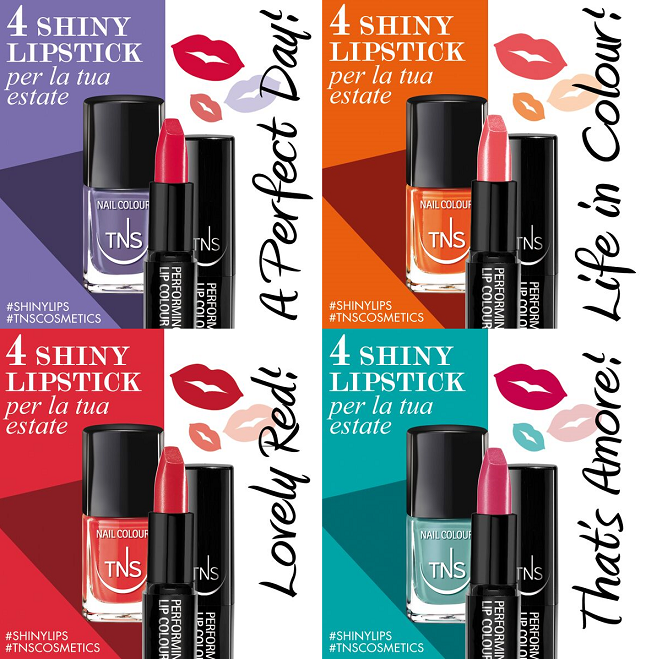 Let me show you the new capsule collection from TNS Cosmetics entirely dedicated to lips (for my big joy): Shiny Lips, four fabulous lipsticks perfectly matched with the previous limited edition, Accent Manicure, I've already shown you in this post. Each lipstick is, in fact, paired with a nail polish of that line and got the same name: A Perfect Day (bright raspberry red); Life in Colour (soft pink coral); Lovely Red (vivid red); That's Amore (intense pink). 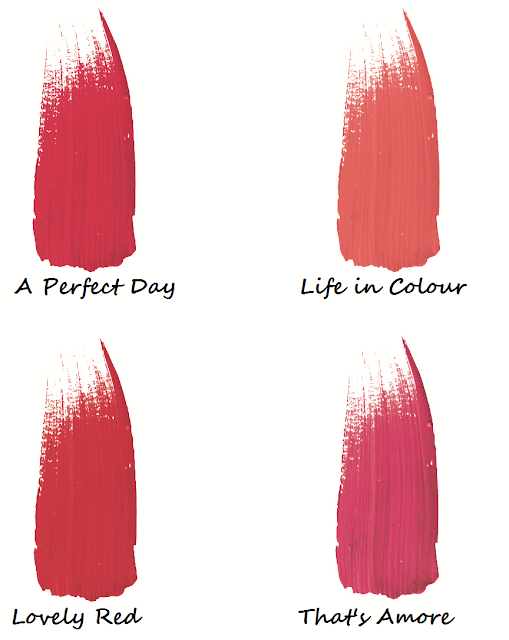 Being a huge red lover, I had not doubt to pick the two red shades of the collection, A Perfect Day and Lovely Red. Tell me, love at first sight as happened to me? Which shade do you like best? ITALIAN READERS: I prodotti TNS Cosmetics sono disponibili esclusivamente nei saloni e nei centri estetici. Per qualsiasi altra informazione consultate la pagina facebook del marchio. Amazing box Lilli, a love all colors. Hello sweet Lilli!I’ve missed coming here so much but life has given me plenty lately and I just can’t seem to tackle it all! Summer Lips + TNS Cosmetics Shiny Lips Collection what amazing colours and great products! I wish this brand existed in Portugal. Vintage Vibes + Statement Necklace Wow! You picked such a gorgeous and stunning necklace! It's definitely a statement and I am in love with its glamorous vintage styling.your pink dress and love shoes are just too cute and the handbag adorable! Summer Look + Straw , Crochet , Lace your outfit is summer perfection, love the cool casual vibe with a nice holiday vibe awesome accessories. I love the bag and the cute espadrilles. Copy The Outfit For Less You suggest a perfect replication of the look! You always nail the copy perfectly! Beach Life | Floppy Hat - Crop Top - Maxi Skirt What a gorgeous setting and stunning outfit. You exude wealthiness, refinement and sociliate all over.royalty!!! Lovely products, the colors are gorgeous! ...quanto sono belle queste box, per non parlare dei prodotti!! !...bellissimi i colori che hai scelto!!! Hi, Lilli! This box seems amazing! Great variety of products! Allora, mi ci è voluto un attimo per scegliere quelli che mi piacciono di più: "A perfect day" & "That's Amore".....mi sembrano ottimi. mi piace molto il rosso che hai scelto. Come sai da un po' di tempo è un colore che uso volentieri anch'io perchè valorizza molto. Amazing products. The life in colour and that's a more are my colours. Bellissimi questi colori, sarei proprio curiosa di provare questi prodotti! These shades look great on you! Lovely products and preety colours too!! My favorite is, That's Amore!! Thank you for sharing dear!! Have a lovely week ahead!!Hugs! These reds look like they were made for you Lilli! and the formulations sounds lovely! I bet they will look gorgeous on you! I like the That's Amore shade the best since reds don't really suit me too well. Bellissimi colori! Un bacione Lilli. Gorgeous shades, Lilli! 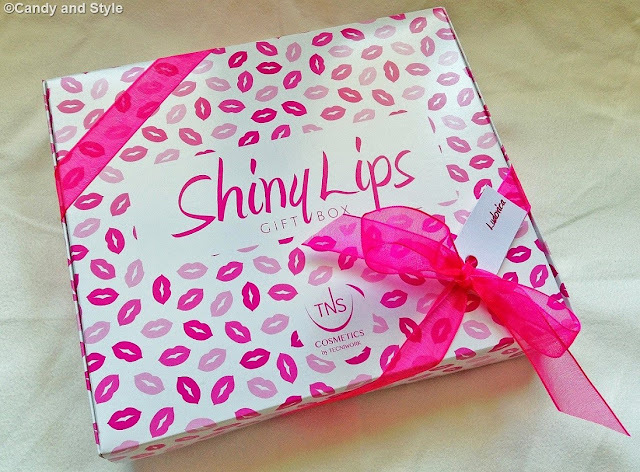 I like the idea of this lipstick box, great idea! Che colori stupendi Lilli, mi piacciono un sacco! Dear Lilli, the lipsticks from TNS Cosmetics sounds great. Glossy and pigmented are perfect for summer lips. Your colors looks both pretty nice and I'm sure these are YOU colors. And my too. :) CNt wait to see one of these lipstick with your next outfit. Tutti bellissimi Lilly e poi sono colori molto vivi perfetti per l'estate. I love both shades because you know my obsession with red lipsticks but my favourite has to be A Perfect Day, that shade is gorgeous! Questi colori sono proprio splendidi! PS mi ero persa il tuo look precedente ma purtroppo i commenti sono chiusi. Bellissima in rosa ! I am loving all these shadeds Lilli! They all kinda have a coral tone to them, which I love! Can't wait to see these colors on you. Great post hun thanks for sharing! Lovely Red, A Perfect Day, can't chose because all four are gorgeous. ciao Lilli! bellissima questa capsule collection! mi piacciono molto entrambi i colori, forse leggermente di più A Perfect Day! Lilli, I am loving ALL of their shades! They really pack a punch, but yet are so soft. Looks so good.